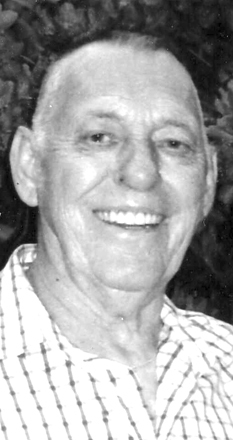 Lee Randall Barnes 80, of Salem, died at 9:05 PM Friday at his home following a one year illness. He was born on March 15, 1939 in Salem, OH., son of the late Albert and Lena (Kegg) Barnes. He was a lifetime area resident. Lee was a self employed carpenter. He enjoyed being outside hunting, fishing, and trapping. Lee was very well known for catching and preparing snapping turtles for soup. There were many folks in the area who would deliver him large turtles. Lee was All-State Basketball his sophomore year with Berlin Center. He also enjoyed college football and followed Ohio State. The tractor pulls at Bunker Hill was a favorite place to visit. Lee is survived by his wife, the former Joyce E. Harmon whom he married on June 4, 1959, his children, Lori (Robert) Koher of Salem, Susan (Tim) Hull of N. Jackson, Scott (Kim) Barnes of Salem, and Lisa (Jerry) Finney of Lordstown, siblings, Betty Hull of Warren, Barbara Bates, Norita McGuire, and Charlene McGuire all of Salem, four grandchildren, Joshua Lee Koher, Clayton Hull, Sierra Hull and Cheyene Finney and one great grand child, Gracie Adkins. In addition to his parents, he was preceded in death by his brothers, James, Edward and Raymond Barnes. It was Lee’s wishes that there be no visitation or services. Donations can be made to Ohio Living Hospice 6715 Tippecanoe Rd., Bldg E, Suite 201 Canfield, Ohio 44406. Arrangements were entrusted to the care of Arbaugh-Pearce-Greenisen & Sons Funeral and Cremation Services, Salem.